The once powerful search engine was dealt yet another blow in its efforts to rebrand itself this past week, when its latest earnings report revealed that the company is now essentially worth less than nothing.How could this happen? According to CFO Ken Goldman, most of it has to do with the companys efforts to enter the streaming market with Yahoo Screen. Yahoo lost $42 million on its reboot of Community and the platforms other two original showsand have subsequently canceled another upcoming sitcom. Following its dismal earnings announcement, CEO Marissa Mayer declared, As we move into 2016, we will work to narrow our strategy, focusing on fewer products with higher quality to achieve improved growth and profitability. The occasion marked the first time that one company distributed an entire NFL game through the Web. While streaming quality was reportedly varied (and some analysts were unsurprisingly skeptical of the numbers), the NFL said they were thrilled with the results. Most of the audience tuned in from the United States, but 33 percent were watching from other countries, indicating that this could attract a huge international audience both for Yahoo and the NFL alike. Since livestreaming continues to be a major blindspot for broadcast networks, it would make sense for Yahoo to penetrate this undersaturated market. The company was also savvy enough to recently partner with Google to allow users to view Google search results on Yahoos site, as well as results from Bing (so as not to disrupt its deal with Microsoft). It might sound surprising that Yahoo, who are still widely known as a search engine platform first, would succumb to its biggest rivalbut in the long run, its also a smart move. The war for the best search engine is over: Google won, but Yahoo needs to prove they arent dead yet. Mayers decision to keep it simple is significantbecause for a long time now, Yahoo hasnt known what it wants to be. And according to the numbers, Yahoo is doing just fine. Theyre ranked fourth for total ad revenue across the entire digital landscape and eighth in email market share. In addition, Alexa ranks Yahoos website in the top five when it comes to overall traffic, while Comscore found in 2014 that Yahoo was actually the most popular website in the U.S. But unlike AOL, the companys business doesnt rely solely on older Internet users. Yahoo Mail remains particularly popular with women, and by acquiring Tumblr, the company has managed to attract a younger audience. Ultimately, Yahoo has managed to stay in business by keeping its fingers in many different pies. 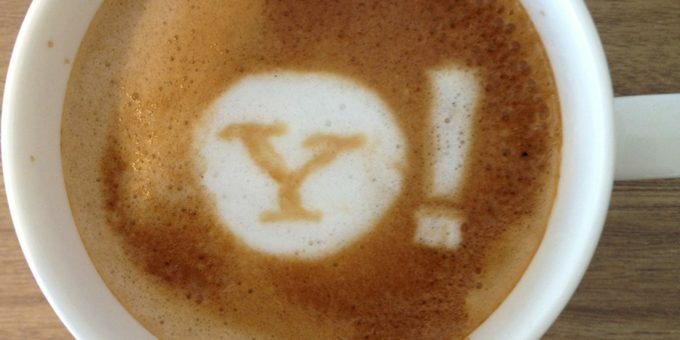 This is the antithesis of Marissa Mayers new direction for the company, but being a jack of many trades and a master of none has nonetheless helped Yahoo remain one of techs most bewildering oddities: a dying company that may outlive all of us. This isnt the success story the companys 90s heyday promised, but for Mayer and her company, the consolations of persistence itself may be enough. Chris Osterndorf is a freelance journalist whose work has appeared on Mic, Salon, xoJane, the Week, and more. When hes not writing, he enjoys making movies with friends. He lives in Los Angeles. Here are a few other things you could have done in the meantime. This article was posted in Design and tagged google, livestreaming, marissa mayer, nfl, tumblr, yahoo, yahoo screen.